It is an antimalware product produced by Qihoo International which is also an internet service provider based in China. The current program, released in December boasted a large blue-white main window with minimal literature. It has five antivirus engines, which include the 360 Cloud Scan Engine, the 360 QVM11A1 engine, Avira, and BitDefender. This takes the malware detection to a whole new level. It is always interesting to discuss about the features of the antivirus. Let’s dig a little bit. The software garnered good scores from independent antivirus testing labs including AV test Institute, the ICSA Labs, and Virus Bulletin. This score is based on the protection, performance, usability, impact on the OS, real-world protection, and simple file detection. However, the AV-Test withdrew its certification when it was discovered that there were significant differences between the product provided for testing and the one supplied to the public. The software’s anti-phishing tests were impressive, with the antivirus coming behind the Bitdefender, Kaspersky Anti-virus and Norton. Its performance was better than the built in protection in Chrome, Mozilla Firefox and Internet Explorer. The software was able to detect even newly reported URLs that haven’t been clearly identified and added to the list of fraudulent URLs. The anti-phishing function is used to protect the user from fraudulent sites which may attempt to acquire log credentials illegally. The antivirus, with just its default 3 engines, is able to detect and block 755 of malware. With the activation of the other two additional engines, Avira and Bitdefender, this score rises to 86%. This is way above the Windows Defender scores. However, much remains to be done as has been proved with Webroot Secureanywhere Antivirus 2015 which has a perfect malware blocking score of 100%. The additional two engines are supposedly switched off by default since the majority of its users are from developing countries where the bandwidth and computing power are still a constraint. Among the system protection features is Malicious Behavior blocking. This acts by detecting alteration of sensitive system settings by applications. In this antivirus, however, tests indicate that this system is not very effective, and may be using generic detection methods which may flag valid software if not properly set. The program has Webcam protection which, though unusual, seems effective in detecting unauthorized access to the webcam. The sandbox feature allows the user to open suspicious programs safely without any risk to the system. Overall the Qihoo 360 Total Security Essential is an improvement from its predecessor, 360 Internet Security. Its pros include the fact that it is free and has many decent functional upgrades. The cons include the fact that some components can be errors, including behavior-based detection and that some antiviral engines are inactive by default. 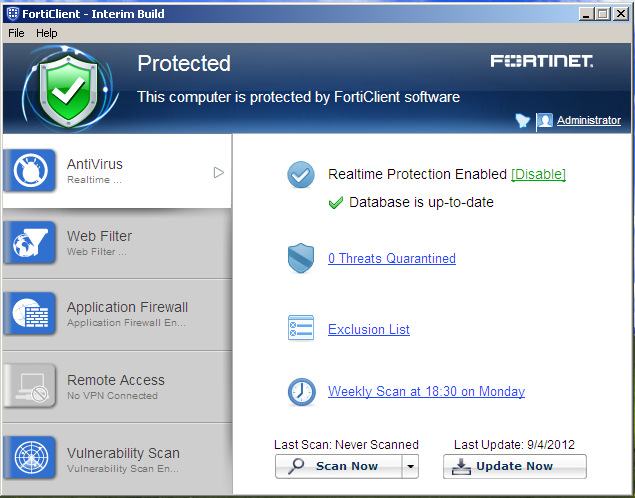 However, it is an impressive software which has rates perfectly against other free antivirus software.